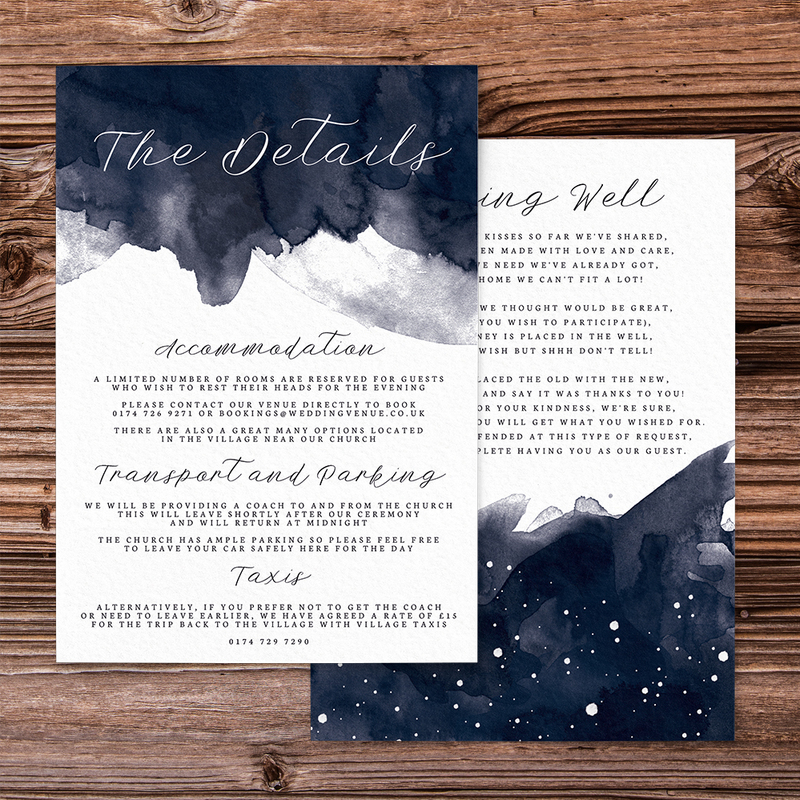 Wedding stationery set with a celestial theme. What could be more romantic than a beautiful star-filled sky? Stars hold the future and your future is sure to be filled with love and joy, so why not begin married life by inviting your guests with this celestial stationery set. This set is beautifully printed on 300gsm hammered gesso art cardstock. The design will be customised with your names, date and venue(s). Invitations and RSVP cards come with matching white envelopes. Also available are envelope seal stickers and return address stamps. UK orders are sent with a 2 day courier which is fully insured and tracked for your peace of mind. International shipping is available, please contact me for a quote.